From the Ama divers of Japan, the Haenyeo divers of Korea, the Badjaos of Southern Philippines, the ancient Greek divers, to the Egyptian hieroglyphics depicting breath-hold dives, it’s evident we have been freediving from early on, with some relying almost entirely on the sea to survive even. Although it isn’t a matter of survival for much of the freedivers of today, freediving remains and continues to gain popularity across the world. It is certainly one of the fastest-growing water activities. In the Philippines alone, the number of freediving schools has jumped from a couple not long ago to a dozen in just a couple of years. With 7,107 islands to choose from, many of which are ideal locations for freediving, I imagine it’s only the beginning. It does make you wonder. 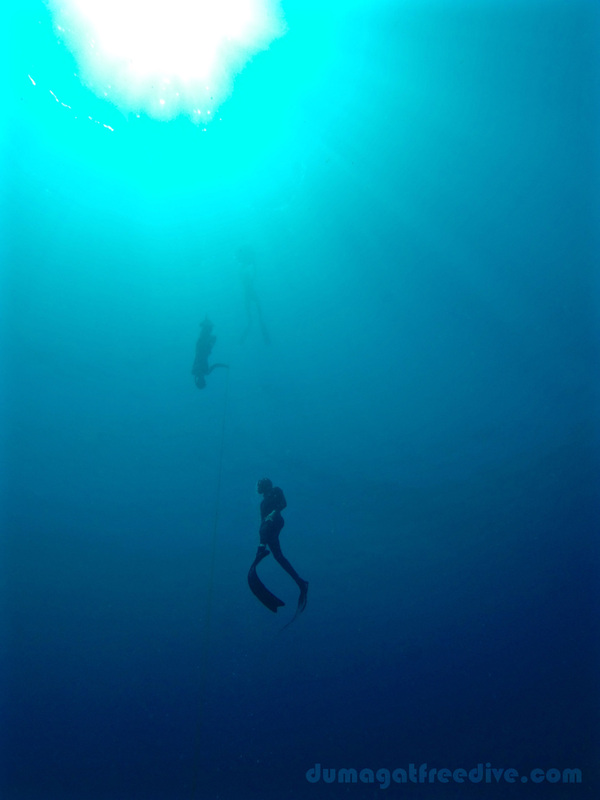 What is it about freediving? Six years ago, I ran into freediving while traveling across Asia. I had been scuba diving for twelve years prior. I wasn’t very drawn to freediving instantly. In fact, I struggled diving down to seven meters. I simply couldn’t equalize beyond that depth. But I pursued it more over the years, albeit very slowly. I eventually learned how to equalize properly for freediving. Perhaps it was curiosity or the experience or more likely the intimate challenge freediving presented me. island. I went snorkeling every day instead. Luckily, as if the universe had a plan, I ran into people who shared the same love for the water and also had some knowledge about freediving. It just got more and more fun and I got very comfortable freediving. I started going deeper and deeper too. Although I loved scuba diving just as much, I liked that I could grab my mask, snorkel and fins and go at any time. Freediving is always done while holding your breath. That’s the fundamental idea whether you like holding your breath or not. I don’t like holding my breath, but as a freediving instructor, I at least need to pretend. But holding your breath does get easier in time. intimidating tone. While a few competitive freedivers are without a doubt superheroes, most are just regular people like you and myself. While competitive freedivers strive to push their limits by going deeper, farther or longer, it’s not a requisite into the world of freediving. Pushing our limits is inspiring and crucial towards discovery of our potential. For the majority of us, freediving makes for a great excuse to go on a holiday, to live an endless summer, to get wet, to observe marine life, to see and discover new places, to open up creativity through underwater photography or videography, to spearfish, and perhaps to manifest new life possibilities. It’s a feel-good activity and surprisingly easy to learn. A freediving course teaches you how to breathe in order to relax and to avoid hyperventilation before a dive. In essence, your ability to hold your breath largely depends on your ability to relax. If your heart rate is fast, you’ll use up oxygen quicker which will consequently shorten your ability to stay underwater. However, humans share a distinct set of adaptations that mammals (such as dolphins and whales) experience every time they dive. Collectively, these adaptations are known to us as Mammalian Dive Reflex. Our heart rate slows down and blood shunts away from the extremities into the more critical organs – the heart and the brain. The blood vessels in the lungs fill-up with blood to protect the organs from collapsing under pressure. Luckily for us, all of these happen naturally when you freedive. out upon surfacing is the most discussed concern. Avoiding a blackout is simply a matter of following some simple rules: never hyperventilate, positive buoyancy on the surface, proper breathe-up and recovery breaths, and by never freediving alone among other things. You learn a few simple rules by attending a formal freediving course and you follow them. You wouldn’t engage in scuba without proper training, why would you in freediving? So what do you need to get started in freediving? Other than a clean bill of health, some curiosity, and meeting a few standard requirements, not much really. While it’s ideal to have your own basic freediving equipment (mask, fins and snorkel) to start with, how would you even know which ones to buy? Luckily, most freediving schools have equipment that either comes with the course or available for rent. Ideally, a perfect-fitting low-volume mask, long freediving fins that aren’t too stiff for your legs, and a comfortable basic snorkel should be in your kit. Add a stretchy formfitting wetsuit and a rubber weightbelt and you’re pretty much set for an adventure. Next move? Find a freediving school that you like and get in touch! Fact of the matter is freediving isn’t as difficult as some make it out to be. Attending a formal freediving course makes it all the more fun, safe and significantly shortens the learning curve. It’s the best and safest way to get started, period. 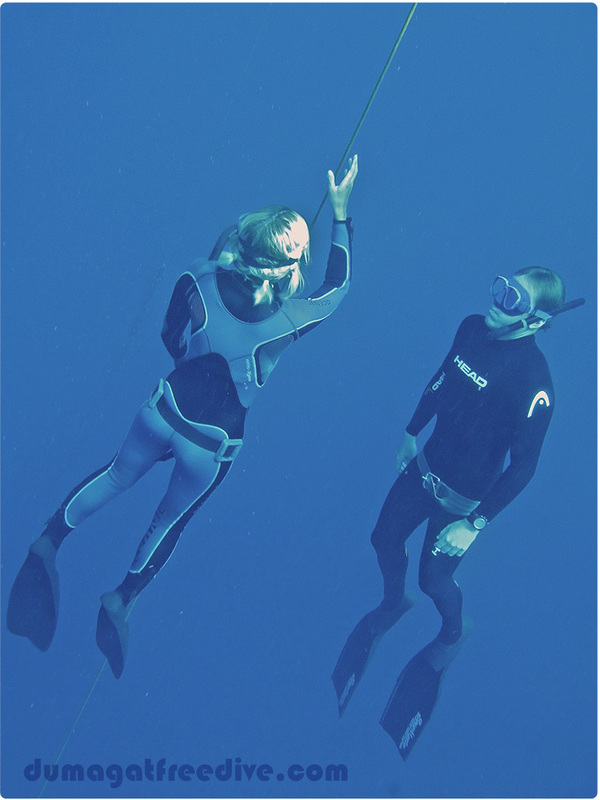 A beginner course lecture generally covers equipment, physiology, equalization, technique, breathing and relaxation exercises, and safety at a minimum before the in-water sessions. The course usually takes 2-3 days. During that time, you’ll learn everything that you need to safely freedive down to a maximum of 20 meters, usually. 20 meters on a single breath may be a terrifying thought especially to a complete beginner, but freediving really is a lot easier than you might think. Irregardless of depth, students generally finish a course blown away by the experience and what they’ve accomplished. For me, freediving is a time and place where I naturally don’t think about anything that is out of the water. I suppose you could call it a meditative state. To put in other words, freediving takes me to a completely quiet place where I and everything around me feel very present. It sounds vague, I know. Perhaps you just need to experience it for yourself. Go give it a shot. Fall in love with something new. Discover yourself. Please visit the Frequently Asked Questions page on the Dumagat Freedive website or find us on Facebook to learn more. Categories: Article | Tags: Adventure, Apnea, Backpacking, Destination, Dumagat Freedive, Free Dive, Freedive, Freedive Philippines, Freediving, Freediving course, Freediving Education, freediving equipment, Freediving Philippines, Freediving School, Fun, It's more fun in the Philippines, Learn freediving, Learn to freedive, Philippine, Philippines, scuba diving, Southeast Asia, Travel, Visayas, water sports | Permalink.